Oak is the most popular Flooring Choice for Timber Flooring World Wide: A timber for the ages white oak/ European Oak /French Oak has long be revered as a versatile and hard wearing floor covering. The unique dark rays of the grain add interest and life to the golden straw tones of the wood and contributing to its unique appeal across the globe. Light and modern with a history to match Oak should always be considered when conceptualising your next project. General Characteristic The heartwood and sapwood of Oak are similar in appearance and can have a white to cream to light brown colour. 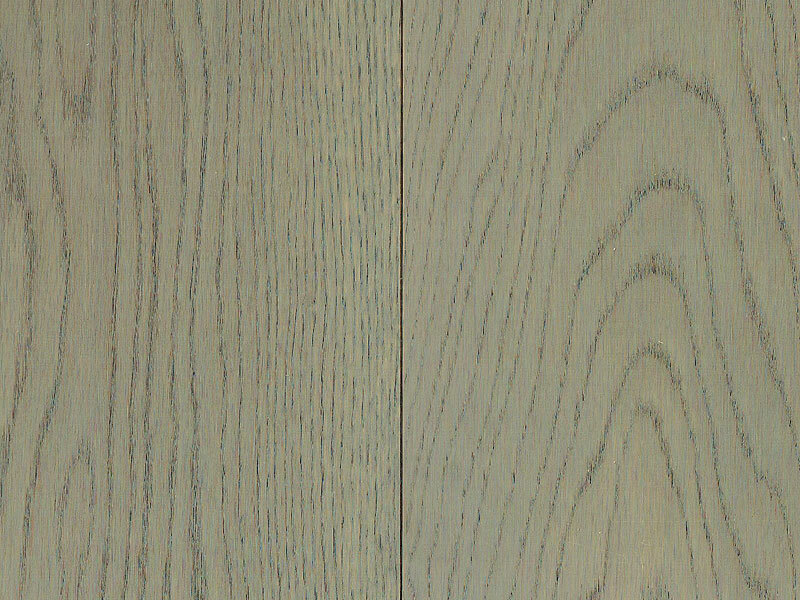 The grain of white oak is open, and also somewhat coarse, and tends to have long rays. These distinctive rays are what make Oak so prized for construction of "Mission" style furniture, Flooring & woodwork. Depending on whether the wood is plain sawn, riftsawn, or quarter-sawn, the grain of white oak can have a plumed or flared appearance, a lighter grain pattern with low figuring, or a "flake" pattern that is referred to as "tiger rays" or "butterflies." 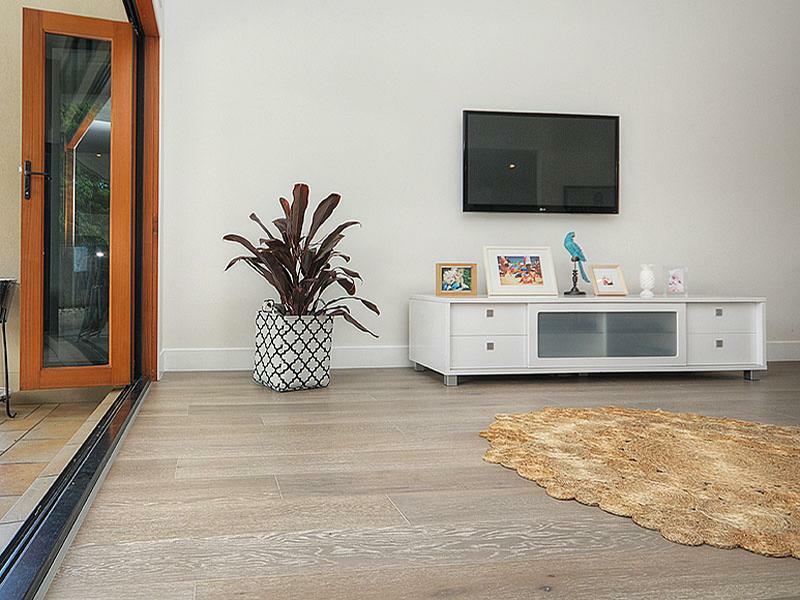 White Oak shows very little variation making it popular for people seeking an even toned floor. Our Oak hardwood wear layer is made from AB-ABC-ABCD grade timber, which feature the full pure characteristics of the grain, light and dark colour variations, knots, shakes and mineral streaks and sapwood, it has also been lightly brushed to tease out some of the soft summer growth from the oak, giving the surface a subtle texture. This flooring is perfect for installation with underfloor heating and has versatility that can be used all the way through to the kitchen.